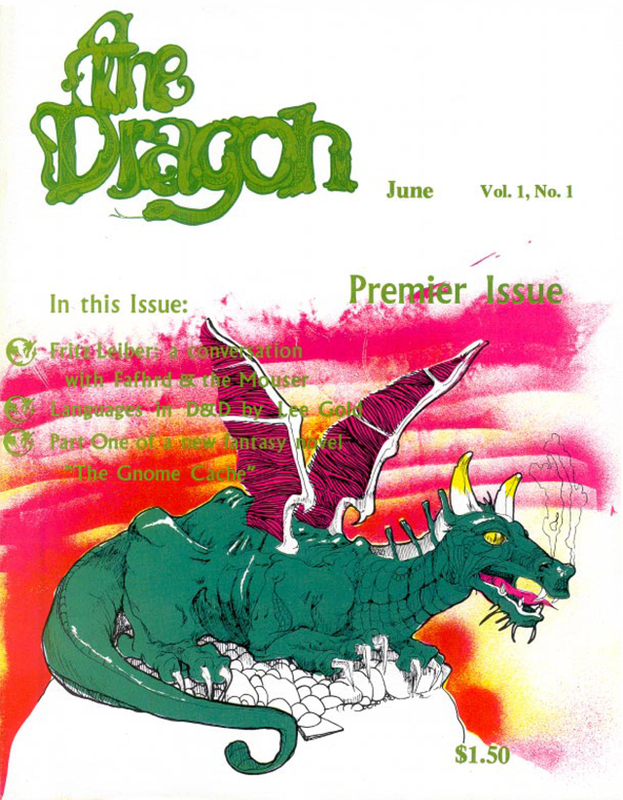 I feel really fortunate to have written a few articles for Dragon and Dungeon (an article on sparring and other contests called Step Into the Ring, an Asian-themed adventure The Five Deadly Shadows, an article for DMs providing Dark Sun wilderness lore and encounters with Traveling the Athasian Wastes, an article on classic monsters with The Ecology of the Vegepygmy, and an article on a villainous secret society in the Dark Sun setting with The True). I know many of you share the dream I had of writing for Dragon or Dungeon. To that end, I want to share a few good links and tips I picked up. Excellent advice on making The Pitch by Chris Sims. October 2011 submission advice by Chris Perkins and Greg Bilsland. Freelancing 101 by Kobold Quarterly (based on a Gen Con talk RPGs). You may find my Design & Development article for The Five Deadly Shadows useful. The Off-Pitch, by David Flor, discusses making a pitch, as well as waiting to hear back from Wizards. Do I Have the Basic Skills? Through my work with organized play I sometimes meet people who have fantastic ideas but do not have the best writing skills. Sometimes that’s okay with organized play – an admin may be willing to do the work to clean up the writing. I wondered whether Wizards felt differently. At Gen Con 2012 I asked a panel of Wizards’ staff whether being a good writer was a requirement. They thought it over, and in the end said it was. This means you want to have a native-level understanding of the English language, of grammar, and of how to communicate with the written word. If you aren’t sure whether you have this, ask someone you can trust to be honest to review something you write. An old high school English teacher, a college professor, or someone who has been published can all be good evaluators. In the end, you want to feel that you can write well enough to produce the quality you see in current issues of DDI. If you lack the skills, all is not lost. The Wizards team encouraged someone in this situation to partner with someone who has them. This is a great way to still contribute to DDI. Collaborating is also a fairly safe way to see what another person does to communicate your (and his or her) ideas well. Dragon generally covers player content or setting/rules that appeal to both DMs and players (though that might change, keep an eye on each issue of DDI). Dungeon is largely around adventures and setting info that appeals to or is used by DMs. Become acquainted with the types of articles in each and pitch accordingly (different people are involved, so you want to pitch correctly). I recommend reading the latest two issues of each magazine in their entirety. For Dragon, be especially mindful of what has been done before. If you want to write powers for a certain class, take a look at what already exists and get a feel for whether the kind of proposal would be accepted. Most articles add new builds or new aspects to a class so that the class has greater depth. Most recent articles add only a few powers and have a strong lore component. Know what is typically accepted and use it as a guide for your pitch. You can certainly take a different approach, but you may want to note that and explain why you are taking a different path and why you think that will work well. Setting work usually is shorter on word count and adds something discrete to the established setting or updates older content to 4E. Take a look at the “Eye on” articles. In terms of adventures, it can be helpful to consider the key appeal behind the adventure. It might speak to a classic adventure and be cool because it is an archetype. It might be innovative in some way. It might use a recent setting or published material. In general you want that pitch to feel good to you – both as something you want to write and which you would want to run or play. Look at the first page of each adventure published in Dungeon for the last three months and see how your pitch compares to the adventure summary. If you read your own pitch, you should feel that a broad audience would respond with “I want to play that adventure!” You want the adventure to reflect your strengths. If you are particularly good at sandbox adventures, skill challenges in combat, open story and RP, challenging battles… let that guide what you pitch. Always be aware of what has come before. Do some research so you don’t duplicate what has come before. Better yet, feed off of it. A setting article or adventure that feeds off of an earlier setting article can be even better than if it stood on its own. It could extend the depth of what DDI offers. Some of the links above have examples you can emulate. Keep your pitch succinct. You want to prove you can write well and be brief. You want the person reviewing your pitch to feel like they will get a high value per word that you write, not a lot of rambling. (I’m an expert at being wordy, so I have to really work hard on being succinct in my pitches). Do things like identify the least useful sentences in your pitch and see if you can combine, eliminate, or reword so they are better. Make sure your writing is compelling and flows well. If you took a writing course in college, go back to those basic concepts. If not, pick up a book and review the basics. Consider having an honest friend who is a good writer read over your pitch. It isn’t a bad idea to come up with a few pitches (even some alternate pitches for the same article!) and read them out loud. Which ones sound better? Can you read them to your gaming group and see which they like best? Article word count matters. If in doubt, go with a shorter word count. It reduces the cost to Wizards and increases the chance your article will look like it adds high value. A smaller article may also look like a more reasonable task for a first-time author. To guess the word count appropriate for your article, find a similar article. Highlight all of it and paste it into Microsoft Word. Word will display the word count in the bar on the bottom left of the program. If you have an older version you can usually get a word count through the File -> Properties menu path, on the Statistics tab. Edit: GoingLast asked how many pitches a person should submit. Update: per the April 2012 article, the limit is 10 articles. Beyond that number, you do not want to overwhelm the reviewer nor to weaken your stronger pitches. I suggest working on as many as you want, then ranking them in order of how much you like them. Cut out any that seem weak. Take out any that you suspect may not be chosen. You may be tempted to select a high number, but my gut tells me that after five you are reaching a pretty high number if you are a first time author and not known to WotC through prior work (like Organized Play). If you choose to submit more, you may want to group them somehow, present them in order of interest, or have some of them be options “in case”. That lets the submission be more manageable to a reader. You can also divide them by “magazine”, since they may be reviewed differently. You may wish to communicate how many you want selected. For example, submitting 10 articles seems overwhelming to me, but can be more realistic if you say “6 are for Dragon and 4 for Dungeon. I have ranked them in order. I am interested in writing up to one article for DDI in any given month.” If you have a track record for being able to publish a lot each month, make that point. In my own experience, more than one article a month can be difficult to juggle unless you have a very open schedule and are an experienced writer. My most ardent advice is to always pitch something you love. Yes, you want to feel that others will like it, but you need to be jazzed to write this… you will be spending many hours on it if you get the assignment! Enjoy writing and the pitch process. Many now famous designers say they had their first pitches returned to them, but they learned from the process and honed their craft. Unlocking a pitch that meets the desire of DDI isn’t easy, and becoming disheartened won’t help you reach your goals. Be realistic about the challenge of getting published. Treat the pitch as you would any formal business interview. Self-evaluate your strengths and weaknesses, work on your “resume”, practice and learn, and be professional wherever your future employers may see your work. I encourage aspiring authors to participate in Organized Play and to play different RPGs. Involvement with Organized Play gives you a view of how the game is played across a wide audience. You will write a better adventure if you have read, DMed, and played dozens of LFR adventures. You will learn even more about adventure writing and the editorial process if you write for an organized play campaign. DDI issues have recently seen a lot of authors that came from LFR, LG, Ashes of Athas, and other organized play programs. Exposure to different RPGs helps broaden your approach. Dice-less or low-rules RPGs help you gain a better feel for open adventure design. Games with rich setting help you understand how to create that kind of feel. Different mechanics show you how to tinker with assumptions and different approaches to representing the game world. Edit: On Twitter a friend asked whether you should include a cover letter or gaming resume. It is my guess that if you have a relevant background, it makes sense to open with that. WotC staff truly are busy, so I would keep it to a paragraph if possible and no more than two. Focus only on the relevant bits. It doesn’t matter that you are active on the Shadowrun forums unless that is directly relevant. For example, if your goal is to show you can really write 5 adventures for Dungeon despite having no prior experience writing for DDI, then I think stating that you have headed up a Living Greyhawk Triad and written and edited many adventures under pressure is absolutely worth mentioning. If you have never written for Dragon but your blog has custom powers for special fey-themed powers, stating that and providing a link is a great way to show your ability to deliver and can make a difference. If you don’t have a gaming resume, don’t fret. Consider building one through organized play, but for the time being just focus on your pitch. Everyone starts somewhere and editors do like seeing new blood! Good luck! If you enjoyed this article or have questions please use the comments below. 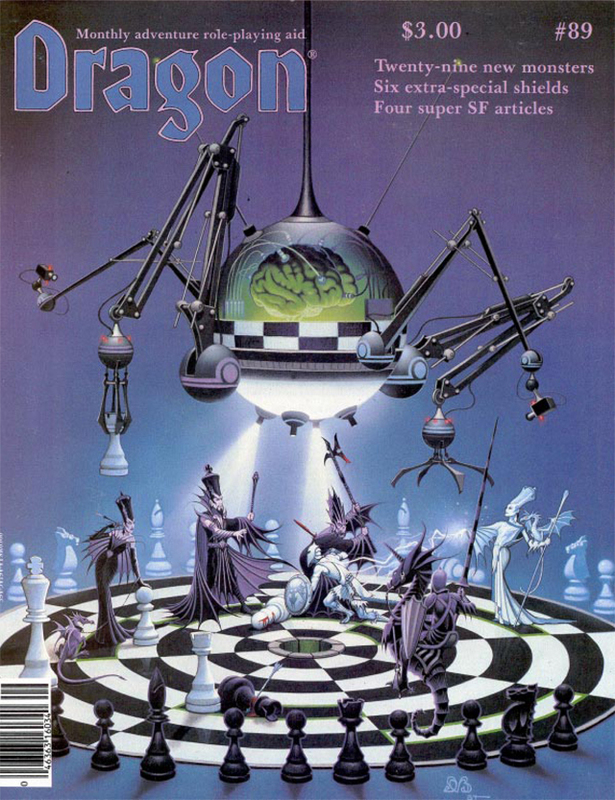 The first issue I owned, Dragon #89. This entry was posted on October 11, 2015 by Alphastream and tagged Authoring, DDI.